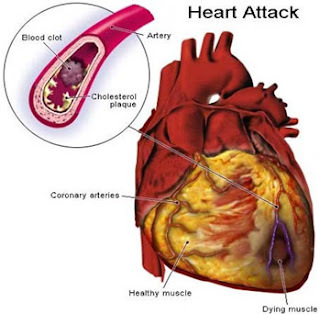 We feel that causes of the heart attack are big. Heart attacks come due to big mistakes. Lack of Sleep: The lack of sleep causes anger and exhaustion. But this increases the risk of heart attack. It has been found in a study that people who sleep less than 6 hours have a heart attack twice more than sleeping for 6-8 hours. Taking less sleep increases the blood pressure and swelling, which is not good for the heart. Migraine Headache: Those who have migraine are more likely to have a heart attack than those who do not. If the headache starts with strange sound, light and feelings then it can be linked to heart problem. Big & Heavy Meal: Think twice before having more and heavy meal. This increases fat on your waist and stomach can lead to heart attack. This also increases stress hormone nipinephrine in body. Therefore, blood pressure and heart rate increases. Wake up Early in Morning: Body remains dehydrated due to early wake up in the morning. This increases the risk of heart attack. Negative & Positive Emotions: Being too much happy and sad also brings heart attack.